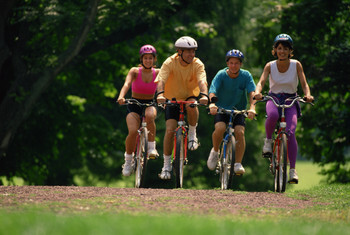 The London 2012 Olympic Games has inspired the nation to get active, as sport-focused holiday bookings rockets. Specialist activity tour operator Mark Warner reported a surge in enquiry levels for tennis, windsurfing and sailing themed holidays due to the ‘Olympic effect’. The activity tour company has seen bookings for tennis courses rise by 17% year on year, with windsurfing and sailing course up by 20% on the same period. Tim Locke, head of marketing at Mark Warner, said: “We are noticing a growing trend for people wanting to combine fitness and well-being on holiday so we are putting this down to the Olympic effect.”Adventure tour operator Explore has also seen a rise in demand for sport focused holidays, and the company expects family multi-activity breaks to jump in the coming months. Peter Crane, from Explore, believes that the Olympics Games is mostly likely to fire up sporting aspirations amongst children, leading to a rise in demand for family breaks with a range of activities. The adventure tour operator has already seen bookings for cycling tours increase by 40% over the year. A number of travel agents are hoping to capitalise on the nation’s renewed love of sport by offering tempting deals on activity breaks within the sport tourism sector. Following the success of Olympic record-breaker and self-proclaimed legend Usain Bolt, many are expecting to see a jump in holiday bookings to the Caribbean. It’s not just the successes of world class athletes that are encouraging Britons to swap typical beach scenes for active holidays, as a survey found that keeping fit helps to reduce stress. According to a survey for iExplore, some 75% said that keeping active on holiday helps them to forget about the stresses of daily life at home.Those looking to embark on an adventure holiday might wish to take out comprehensive travel insurance.